Are you looking for more information on low carb diets? A low carb diet is simply a way of eating that restricts carbohydrate to a healthier level. This level very much depends on the individual, and there’s further information on this in the ‘carbohydrate’ section. While many people presume low carb diets make certain foods off limits, it’s more the total daily intake of carbs rather than any one food. However, since they are so high in carbohydrate, low carb dieters do typically restrict foods such as grains, potatoes, bread, and sugary foods in general. A well-formulated low carb plan should focus on whole foods and typically includes dairy, eggs, fish, fruit, meat, nuts, and vegetables. Additionally, various lower carb snacks such as dark chocolate (85% plus) are fine too. What Are the Benefits of Following a Low Carb Diet? First of all, removing processed foods like flour and sugar from the diet significantly improves our health. These foods tend to quickly spike blood glucose and insulin levels after consumption, making them harmful in excess (and over the long-term). Secondly, a low carb diet based on nutritious foods provides plenty of beneficial vitamins, minerals, and polyphenols. The typical Western diet is extremely high in both carbohydrate and fat, which causes a whole host of problems. Worse still, these carbs and fats commonly come in the form of ultra-processed vegetable oils, flour, and sugar. Clinical weight loss interventions usually focus on either calorie restriction, or a low carb or low-fat diet. While all these diets can work, studies show that low carb diets have an advantage over low-fat diets at the 3, 6, and 12-month mark (1, 2, 3). However, they also have the added benefit of providing higher levels of satiety, and this is one of the major reasons why they work. Are There Different Types of Low Carb Diet? A typical low carb diet may contain anywhere up to around 100g of carbohydrate per day. On the other hand, more restrictive (very low carb) diets such as keto bring this amount down to an absolute maximum of 50g. That said, many keto dieters aim for somewhere between 20-30g at a max. There are various forms of “low carb” too, with LCHF (low-carb, high-fat) being similar to keto and emphasizing a higher fat intake. Conversely, the Atkin’s diet is more of a low carb, high protein diet with a more moderate amount of fat each day. Other low carb diet variants include the Dukan diet, South Beach, and—potentially—a low carb version of paleo. Apologies for the lack of clarity, but how long is a piece of string? However, if you dedicate yourself to the diet and stick to it, then it’s possible to steadily lose 1-2lbs per week. As a low carb diet improves satiety levels, people often sub-consciously eat less food which results in automatic weight loss. Again, this question is very subjective and depends on the individual. Although it may be essential for sports professionals, I don’t think tightly monitoring calories is necessary for the majority of people. Instead, try eating to satiety at each of your meals and base the amounts you eat around this. After one or two weeks, drop the portion sizes slightly if results aren’t to your expectations and then monitor how this goes. In other words; continually eat, monitor, and adjust. 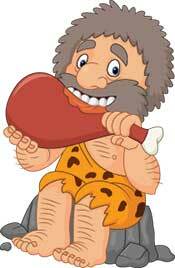 How long have humans been eating fruit, meat, nuts, dairy, and vegetables? Compare that to how long we’ve been eating cookies, boxed sugary cereals, and various sodas – perhaps the past two centuries at a push? In truth, the modern diet—the one that is making everyone sick and obese—is the real fad. That said, there are elements of the low carb diet which are not the healthiest of choices. An optimal, healthy diet should revolve around whole foods – like we’ve been eating for thousands of years. If we’re getting half of our daily calories from sticks of butter in our coffee and “fat bombs” then that is less than optimal. Stick with real food. Will I Regain the Weight When I Finish the Diet? However, the aim should not be to “finish” a diet. “Finishing” a diet implies that you are only using it for short-term weight loss, and then going back to your usual food. If your usual diet caused you to gain weight in the first place, then why would it do any differently the second or third time? This is an unbelievably common mistake that people make time and time again. In other words, it’s a question of your mindset. Rather than thinking about low carb as a short-term thing to lose a few pounds, think of it as a long-term healthy lifestyle. Find the foods you love to eat, and make it a permanent thing. Can’t do without pasta and bread? Well, there are low-carb options for those foods too. But if you can’t give up the genuine thing, low carb probably isn’t the right fit for you. But Aren’t Grains An Essential Food Group? While various foods can be healthy, we have a need for essential nutrients rather than specific types of food. And on this note, every beneficial nutrient we can find in grains is available in far more significant amounts elsewhere. For example, animal foods are by far the greatest supplier of B vitamins. Additionally green vegetables, seafood, nuts, and animal foods supply substantial amounts of minerals. Regarding fiber, fruits and vegetables tend to be the highest providers. Are There Any Problems With Low Carb Diets? Every diet can either be beneficial or detrimental depending on the formulation, and low carb is no different. 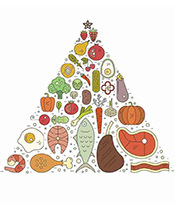 If your low carb diet prioritizes whole foods such as meat, fish, eggs, dairy, fruit, nuts, seeds, and vegetables? You’re likely getting all the nutrients you need and following a healthy diet. In contrast, if you’re just “avoiding carbs” and eating copious amounts of isolated fats (butter/coconut oil), then the diet will be very low in essential nutrients. Low carb diets commonly lead to large falls in blood glucose, so another concern is for those taking diabetes medication. Since insulin requirements may change, anyone in such a position should discuss with their doctor before starting a new diet. A low carb diet should contain an approximate upper limit of 100g net carbs per day. To calculate net carbs, we should deduct the amount of fiber from the total carbohydrate count. For example, if an avocado contains 17g total carbohydrate and 13g of this is fiber then there are 4 grams of net carbs. However, some people prefer to aim for lower amounts in the 0-50g range for further benefits. For a quick example, 100g net carbs could include a significant amount of leafy green vegetables, two medium sweet potatoes, a handful of berries, a glass of milk, and an ounce of dark chocolate. At lower levels (<50g), the same foods would be possible except for the sweet potatoes. Everyone is different and what someone else eats might not be the right amount for you, so it’s best to experiment and find what suits you. See this guide to reducing carbohydrate intake for a better idea on how to lower carb intake. In recent times, there is a lot of fear-mongering over carbohydrate as a food source. However, the truth is that there’s no real evidence to suggest that all carbohydrate is particularly harmful. Sure, simple sugars and refined carbs from foods like cereal, candy, cakes, and pasta aren’t the best for our health. This is especially true when we consume them in the excessive amounts our modern society does. But whole food forms of carbohydrate do provide beneficial nutrients and, for the most part, they don’t cause problems. No, there is no need to avoid fruit. 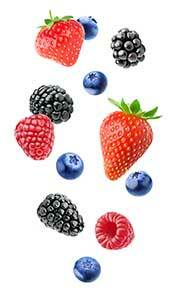 Unless you have a particular need to strictly limit carbohydrate to a certain range, then fruit is fine in moderation. However, it’s important to be aware of the specific fruits you are choosing. For example, if you eat one average sized apple (25g), banana (27g) and mango (50g), the total carbs come to 102g (89.5g net carbs). On the other hand, 100g of blackberries and an avocado only come to 27g carbohydrate (and only 9g net carbs). A yummy idea is to pour a little heavy cream over mixed berries and add a few drops of (real) vanilla extract. It is harder to fit fruit into very strict low carb (keto) diets; see this guide to see how keto compares to a liberal low-carb plan. Can I Eat Unlimited Vegetables? That very much depends on which veggies you eat! Unlimited potatoes are probably only a good idea for those training to be a sumo wrestler. On the contrary, including large amounts of leafy green vegetables such as spinach and kale is possible. However, I would exercise caution against overdoing it; vegetables are healthy, but anything can be “bad” in excessive amounts. How Much Fiber Do We Need To Eat? The official dietary guidance for fiber is 38g per day for men and 25g for women. Should you include a range of vegetables, nuts, and fruit in your diet then you will likely be somewhere around this amount. However, there is evidence to suggest that fiber may not be as necessary on a low carb diet. The simple reason why is that one of the main functions of fiber is to slow the digestion (and blood sugar response) of carbohydrate. 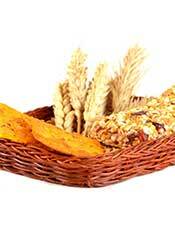 For this purpose, a diet low in dietary carbohydrate will not require as much fiber. How much fiber we need is a different question, and this probably varies by individual. For example, some do well on higher levels of dietary fiber while others (especially those with intestinal issues) sometimes see improvements on low-fiber diets (4, 5). A few pieces of dark chocolate or a half a teaspoon of sugar to sweeten your tea or coffee? If that’s what you want to do, then no problem – such a small amount won’t harm. Other than that though, sugar doesn’t belong in a low carb diet. Most of us are used to hearing the (industry sponsored) “active and balanced lifestyle” message when it comes to sugar. Let’s be a bit more direct; sugar contains no essential nutrients, is harmful in excess, and plays no part in a healthy diet. How Much Fat is Optimal on Low Carb? First, we are all individuals with unique energy needs and different physical activity levels. As a result, there’s no exact ideal amount of fat for every person, and eating to satiety is far better than aiming for a random number. For each meal, there should be a protein source such as eggs, meat, or seafood (which all naturally contain fat) and your chosen amount of vegetables. Still hungry? Then add an extra source of fat such as an avocado, cheese, dairy, or olives. Can I Eat As Much Fat As I Want? Low carb diets have many positive points, but unlimited fat is not one of them. You can gain fat just as you can with any diet if you eat too much. However, it’s tough to overeat fat if your diet is predominantly based on whole foods. Generally speaking, fats in their natural form—or minimally processed—should be the focus. Is Bulletproof Coffee a Good Idea? 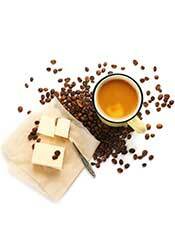 Bulletproof coffee is a coffee drink containing several tablespoons of isolated fats such as butter and coconut oil. While there’s nothing wrong with drinking one from time to time, I don’t think it should be a regular thing. The reason why is that this drink is high in energy and usually replaces (rather than compliments) meals. In other words, we are displacing foods with a far greater nutritional value to drink hundreds of calories of pure fat. It might taste good, but it doesn’t come close to matching real food regarding nutrients. Are Fat Bombs Good For You? Fat bombs are one of the most popular keto recipes, and they are generally highly-concentrated fat sources with a sweet taste. Usually, these foods are a mixture of various fats, nuts/fruit, and natural sweeteners. As a treat from time to time, they are fine. However, they shouldn’t be an everyday thing. Unfortunately, saturated fat was the victim of a hypothesis pitching it as the cause of “clogged arteries,” and it has been demonized since then. However, the science doesn’t support this mistaken belief. For example, large-scale studies find no association between saturated fat and cardiovascular disease (6, 7). Additionally, “good” cholesterol HDL consistently increases with a higher intake of saturated fat. Instead of restricting saturated fat we should make efforts to reduce flour-based products, processed vegetable oils, and sugar. Those foods are the real dietary villains. Similar to carbs and fat, there is no hard and fast rule, and protein requirements differ by individual. However, some groups of people such as those doing intense exercise or the elderly may require more dietary protein. As a minimum rule, I think 1.5g protein per kg of bodyweight is a good target. This amount should probably increase to 2g> for those doing resistance training or the elderly, who have a decreased rate of muscle protein synthesis. If you are having difficulty with hunger cravings, it may also be worth increasing your protein intake since it is the most satiating macronutrient. 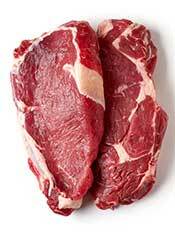 In fact, red meat is one of the most nutrient-rich foods in the food supply. It contains a wealth of B vitamins and essential minerals like iron and zinc, which are nutrients many people are deficient in. You may have heard scare stories about red meat and how we should restrict it, but this is based on epidemiology with so many possible confounders. For instance, people who eat large amounts of red meat are more susceptible to disease? Well, what kind of red meat are they eating? Is it a homemade steak with veggies or is it a Big Mac with a side order of fries and cola? Over the past few decades, was it the most health-conscious people who ate red meat? Or was it those who eat a poor diet with lots of fast food? These factors all have huge impacts on associational studies. However, there are also randomized controlled trials that test the effects of red meat on the health markers of human participants. These studies show no harm from red meat consumption (8, 9). Fish Contain Mercury – Are They Safe To Eat? Consumption of the essential omega-3 fatty acid DHA (docosahexaenoic acid) should be the priority. This fatty acid is essential for our health, and fish (and seafood in general) is by far the biggest source. It’s understandable that people feel concern over heavy metal contamination though, and opting for low-mercury fish is a good idea. Complete proteins—ones which contain the full amino acid profile—are the best sources of protein. Good vegetarian options include beans, fermented soy dishes like cheonggukjang, miso, natto and tempeh, and nuts. Can Protein Damage the Kidneys? High protein diets don’t cause kidney damage in otherwise healthy people – nor do they lead to kidney disease (10). 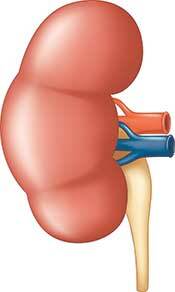 However, a high intake of dietary protein may be harmful to people with pre-existing kidney disease. If you have any medical condition, always speak to your doctor about dietary changes. However, eating fewer meals is better than continuously grazing throughout the day. It’s also better to ignore the myth that we should eat every few hours; this is a myth not based on science. Personally, I eat twice a day, and this includes a big breakfast in the morning and a medium-sized dinner in the early evening. Whether you eat twice or three times doesn’t matter in the grand scheme of things, and what you eat is much more important. What Does a Typical Day of Low Carb Food Look Like? Here are two possible meals that differ depending on the amount of carbohydrate you’re aiming for. Followed by mixed berries and a piece of cheese. What Foods Are Not Suitable? It’s also important to avoid highly processed fats such as margarine, vegetable oils, and trans fat. Low Carb Seems Expensive: How Can I Spend Less? Buying whole food options such as fish, meat and fresh fruit can sometimes be more expensive than ultra-processed food options. 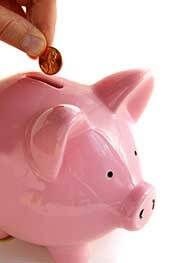 However, good health is worth the investment and these and eating well now may reduce healthcare costs later. Consider buying frozen foods – they are often just as nutritious as the fresh option. Instead of buying single portions, buy your favorite foods in bulk for large discounts. Opt for cheaper (yet nutritious) food choices like eggs and organ meats. Visit the supermarket near closing time for big markdowns on the prices. Also, go with what you can afford rather than aiming for perfection. For instance, grass-fed beef is slightly better nutritionally than grain-fed, but both versions are still healthy. Where Can I Find Good Low Carb Recipes? There are thousands of books available, and thousands more are just a Google search away. You can also find hundreds of recipes in our low carb recipe area. It doesn’t have to come in a bowl with milk, and nor does it have to include bacon! Can I Drink Coffee on a Low Carb Diet? Yes, there’s no problem at all with drinking coffee. However, make sure to stick with unsweetened versions. Black coffee (or coffee with a bit of cream) is fine, but a caramel frappucino is liquid candy. See this guide to the best low carb drinks for further information. 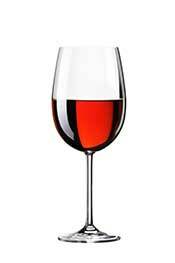 Red wine and spirits are the best alcohol options for low carb, and there are a variety of low-carb beers too. That said, alcohol can be harmful in larger amounts so make sure to drink sensibly. How Can I Deal With Food Cravings? The most important thing you can do is to ensure you’re satisfied with your meals. Continuously eating insufficient amounts of food isn’t a good idea, but such undereating is very common. This is especially true when people are looking to lose weight. If you are eating enough, are you getting a sufficient protein intake? Protein is the most satiating out of all macronutrients, so ensuring a decent amount of protein (35g +) with each meal can help with hunger cravings. It’s also possible to mistake thirst signals for hunger. As a result, an adequate water intake sometimes causes these cravings to disappear. Should I Take Omega-3 Supplements? 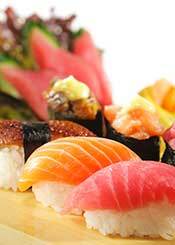 Providing the diet includes sources of omega-3 rich fish, there is no reason to supplement with omega-3. As with most things, it’s far better to get nutrients from real food rather than daily pills. Dairy foods are delicious, and they’re also reasonably nutrient-dense. Providing you have no allergy or sensitivity issues, then cheese, milk, and yogurt are all perfectly healthy. However, it’s a good idea to limit milk intake on a low carb diet since it’s relatively high in lactose (milk sugar). I Love Pizza/Sushi – Can I Eat It? Considering how high in dietary carbohydrate they are, the answer is no. Of course, if you want to have a higher carb meal then nobody is stopping you, but it’s not compatible with a low carbohydrate diet. On the positive side, there are various low carb versions of these foods which you could try to make. What Are Some Good Snack Options For Low Carb? Will I Lose Weight/Look Better in the First Week? 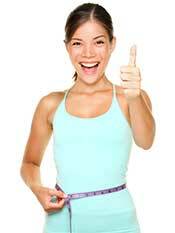 If you are aiming for weight loss and formulate your diet well, then weight loss should naturally follow. It’s all about getting the right amount of the right foods. Many people lose several pounds in their first week as lower carb consumption results in our body storing less water. Can I Eat Low Carb As a Vegetarian? A vegetarian can eat a low carb diet quite easily, and eggs and dairy foods should be the focus for dietary protein. Vegans can also do a low carb diet. However, by its very nature, the vegan diet makes this more difficult. 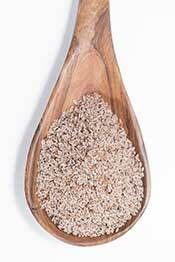 Good vegan-friendly protein sources include fermented soy and various beans/legumes. Since these foods all contain a moderate amount of carbohydrates, it makes it more challenging to keep the diet low in carbs. Can I Do Sport on Low Carb? Exercise could be more laborious for the first week or so, but this is because the body needs time to adapt to burning fat for fuel. Plenty of people who enjoy intense exercise—and even athletes—follow low carb diets. What Are the 10 Healthiest Low Carb Foods? Lastly, if you need resources such as useful websites, terminologies, and recipe collections, see this resources page.